These can range from bridal bouquets to corsages/button holes.......... whatever your needs. You talk, we listen. We suggest, you decide! No two weddings are the same and neither are flower designs. Weddings are created on a vision and we help build that into a reality, from simple hand tie bouquets to cascading table centre pieces. Each package is bespoke and can accommodate any budget. 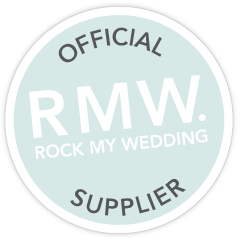 Please get in touch and help us make your wedding date the most memorable day of your life. Whatever the surroundings let us help create your event into something to remember. If there is something in the diary this usually means time is limited, whether it's Christmas, a birthday, christening or just a private party we can take all the extra hassle off your hands. From table decorations for Christenings to covering a room / house for a party, whatever the occasion please feel free to give us a call and we will be happy to help put together something that will make your event one to remember! Fancy something different for your hen party....then come to Country Daisy. Held at the stables in Sevenoaks Kent, groups are given step by step instructions to put together a chosen piece (this would need to be discussed and planned at time of booking). Whether you are looking to tie in with the wedding - bridesmaids making their own corsage or keeping it totally separate, it will be something that your party will remember for years to come. At the stables in Sevenoaks Kent, ideally for groups of 6 - 8 people (bigger groups can be discussed) Tutorials are given and each member of the group gets to create their own version. Wreaths for doors, garlands, and table arrangements tend to be the most popular, but if you had something particular you would want to create, please feel free to give us a ring. If you are a "hands" on bride then this could be for you! Usually with other members of the bridal party, workshops are organised to create pieces that will be used on the big day. Depending on how confident you feel we can package button holes / bridesmaid bouquets/ basic centre pieces etc. This offers that extra personal touch for the creative bride. Delivery and storage will be discussed at time of consultation.